Born 1980. Live in OSAKA JAPAN. Works in the "Field recording" "Sound Installation" and "Sound object". His all works concept is "Catch the sound recognition in this space". Biography: Born in OSAKA, JAPAN, in 1980. Works in OSAKA and TOKYO base sound artist. 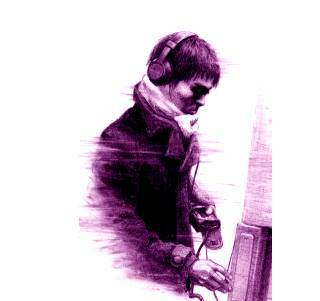 Takahiro started to work, from 2000, in various fields as "Fieldrecording", "Sound Installation" and "Sound performance". The common concept of all his works is: "Space recognition through the sounds". He has released six CD / CDR from domestic and foreign labels which are specialized in experimental music. And three other CD projects are going on for 2007. He has also been very active in his international and interdisciplinary projects in the year of 2006 : Creation of his new peace at Slade Research Centre in LONDON, UK Collaboration with dance and photography in the installation work:"Three", at BankArt Yokohama, Japan (Project involved in the Japan Media Arts Festival promoted by the Ministry of Culture of Japan).